Artistic Director/Choreographer Ramona is one of Sydney’s most distinctive artists, fusing cultural rhythms from Bharatanatyam, African and Latin with western styles. The resulting Bollywood dance works are intricate and vibrant. 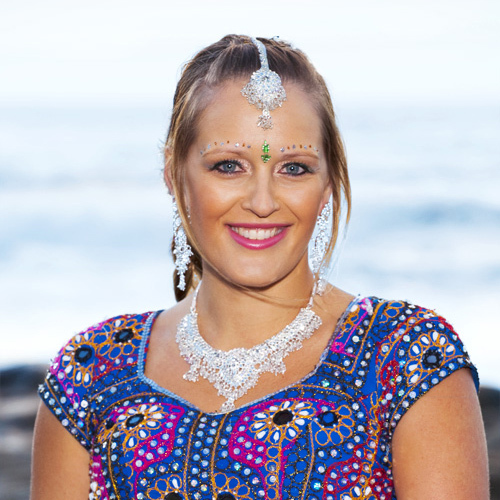 In 2005, Ramona founded Sirens Dance, which has since become one of Sydney’s leading Bollywood companies, recently winning the ANZ Blue Room competition. She has choreographed for television shows AACTA, Bollywood Star, Dance Boss, So You Think You Can Dance 2, 3 & 4, Sunrise, Sydney Weekender, The Squizz and has created shows for companies such as Optus, Westpac, St.George, Emirates and ING, as well as events such as Lord Mayor’s Ball. In addition, Ramona was in the Top 40 on SYTYCD 2, represented Australia in The World Hip Hop Championships and performed at the Urban Music Awards, Big Day Out, Livid and Rumba. One of Ramona's highlights with the company was a trip to India to study the dancing and gain inspiration for future shows. Zoe is one of the original members of Sirens Dance, having performed with the company for over seven years. She has trained in studios around Australia, as well as in LA and New York, in an impressive array of styles, including Hip Hop, Jazz, Tap, Ballet, and Contemporary. Zoe’s performance background also includes presenting, acting and modelling, all of which she utilised in her tour around Australia with The XXXX Angels. Throughout this contract she performed live on The Footy Show, The State of Origin, The V8 Supercar Series and The XXXX Gold Beach Cricket. She also hosted radio shows, interviewed TV and sports personalities and featured on a range of associated merchandise. Zoe has appeared in many television commercials locally and internationally including campaigns for Cheerios, Wrigleys Gum, XXXX Gold, Club V, and Bonds underwear. She has also been featured in many music videos, performed at various fashion events and is a regular model for Sydney Photographic Studios. Ali has a wealth of performance experience encompassing a variety of dance genres including Hip Hop, Jazz, Ballet, Contemporary and of course Bollywood. This led her to work as a regular judge for ABC’s Strictly Dancing. She has appeared in music videos, TVCs and launches for Bonds, Coke, Adidas, Just Jeans and Channel V. She was featured on MTV Awards and Sydney Weekender and assisted Ramona on Bollywood Star. Her stage experience includes a lead role in A Chorus Line, dancing at Livid festival and consecutive contracts for Princess Cruises entertaining audiences around the world. In addition, Ali has taught for several years at leading studios including Sydney Dance Company, performed with music artists such as Ricki-Lee and with various Hip Hop crews. Having worked as an Art Director at leading agencies in New York and Australia, Ali also contributes to the company using her off-stage skills – including creating this website. For content, branding and design enquiries, visit www.alibeales.com. Ilona is a seasoned performer who fell in love with Bollywood after seeing Ramona dance to Kajra Re. She has since done numerous Bollywood performances, including becoming a finalist on TV show Bollywood Star and has collaborated on Sirens Dance choreography with Ramona. Ilona is a respected Hip Hop choreographer having worked with Grammy Winner Duffy, Vanilla Ice, Jessica Mauboy, Seany B, Australia’s Next Top Model and Dance Academy. She also made Top 20 on SYTYCD 3. She has danced for Kylie Minogue, Guy Sebastian, Katie Underwood and Courtney Act, and in TVCs for Bonds and The NSW Deaf Society. She has performed at Urban Music Awards and the Lord Mayor’s Ball with Jason Coleman. Ilona has taught in studios around Australia, including Sydney Dance Company. She has also studied acting and it is one of her many strengths as an in demand performing artist. Ilona is also a talented Producer, Editor and Community Manager whose skills have been invaluable to Sirens Dance. Rebecca has worked for several years in both Australia and the UK as a professional dancer and choreographer. Her natural flare for Contemporary dance has led her to work with a range of prestigious dance companies including the UK's Rambert, Henri Oguike Dance Company, Siobhan Davies Dance Company as well as Sydney's Chimera Dance Company. Her many performances for Sirens Dance include the Lord Mayor's Ball for SYTYCD's Jason Coleman and an Australasian tour for Aiysha. Rebecca’s television appearances include music videos for Guy Sebastian, Roxanne and Deep Sea Arcade. She has been a featured dancer on the SBS documentary Women in the 21st Century, Where It's At TV in the London West End and a back-up dancer for Ricki-Lee. She has also appeared in campaigns for Bonds, Nikon and Tings bags. Rebecca has many facets to her artistic talents, working as the Creative Director/Stylist at Llewellyn Bespoke. Our incredible costumes are an example of her outstanding work. She is also our social media guru, helping to keep you up-to-date. Florette has performed and taught extensively both in Australia and overseas. Her dance training spans a variety of styles including Bollywood, Jazz, Funk, Latin, Contemporary, Classical Ballet and Hip Hop, going on to represent Australia in the World Hip Hop Championships. Her credits include choreographer and dancer for SBS’s Fat Pizza, Purdue Repertory Dance Company, Heads UP! (performed in Australian Sign Language and English) and the lead in Baz Luhrmann's inaugural production of Lights! Camera! Chaos! Florette has appeared in TVCs for NAB, KFC and Uncle Toby's, as well as working with award winning writer Gina Schien in the radio play Eaten as part of Sonic Tales. Florette is also a professional Actor, Singer and Voice Over Artist whose demo can be heard at www.florettecohen.com. Florette grew up listening to her father’s stories of his childhood in India and she was drawn to Sirens Dance in 2005 by Ramona’s magical fusion of dance and culture. Rachel has over 20 years of training in Jazz, Hip Hop, Tap and Contemporary, including eight years of study at the Anne MacDonald College of Performing Arts. She was drawn to Bollywood by the rhythm and vibrancy of the style and a love of performing with her identical twin – Ramona. Rachel has further broadened her repertoire by immersing herself in the world’s oldest surviving dance form, Bharatanatyam, under the tutelage of Anandavalli at the Lingalayam Dance Academy. She has used this experience to choreograph segments for Sirens Dance. Rachel’s unique style is characterised by her versatility and a seamless fusion between the many art forms. 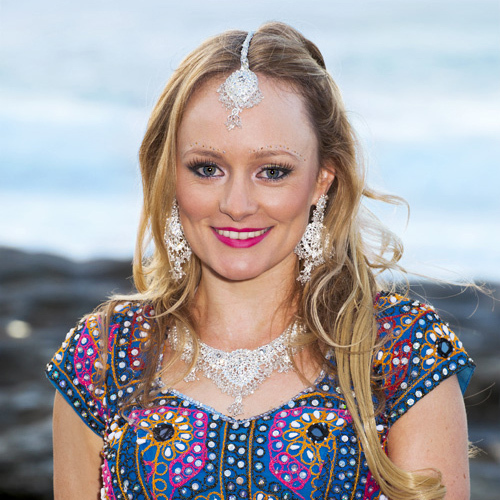 Rachel has performed extensively on stage, with highlights including the Lingalayam Dance Academy production of The Tempest at the Seymour Centre and the Lord Mayor’s Ball at the Sydney Opera House. Rachel also worked with Ramona, teaching Bollywood to contestants on Channel 10’s So You Think You Can Dance. Rachel joined the culturally diverse Sirens Dance team in 2007. Her experience as a professor, lecturing University students has also helped her to create and present our much loved school educational program Bollywood and Beyond. Claudia’s first dance steps as a Bharatanatyam dancer began at the tender age of seven with her guru (teacher) Smt. Sashi Bala. 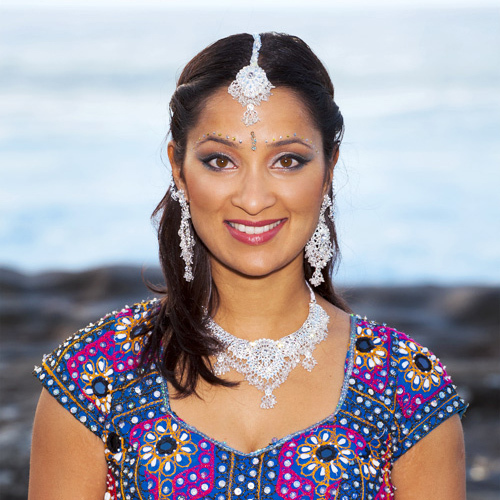 She has since performed in several Natyadharshan productions at venues such as the Sri Venkateswara Temple, Sydney Murugan Temple and the Parliament of NSW. In addition, she recently had the honour of dancing at The Joint World and Asian Pacific Congresses on Computational Mechanics held in Sydney. This foundation in South Indian Classical dance has strengthened Claudia's Bollywood skills, giving her an understanding of the innate rhythms, intricacies and narratives that make Bollywood dance so unique. In 2010, Claudia danced as part of the Sydney Festival working alongside AR Rahman, internationally awarded for his compositions in the film Slumdog Millionaire. Sirens Dance inspires Claudia with its dynamic fusion of genres. Alongside dancing, Claudia has recently graduated from a Bachelor of Science (Neuroscience) from the University of Sydney and works in Environmental Science and Communications, helping to make the world a better place. Dorothy is a natural-born dancer who was drawn to Bollywood through her love of Bollywood films. Her debut as a member of Sirens Dance was on Channel Ten’s Everybody Dance Now and she has since collaborated with Ramona on choreography. Dorothy recently appeared as a contestant on Channel 7’s Dance Boss, coming in fourth. She is a seasoned Latin and Brazilian performer who has graced the stages of many of Australia’s acclaimed Latin festivals including the Bacardi Festival, Darling Harbour Fiesta and Ritmo Brazil, alongside the best in the industry. She also performed as an International Guest at Carnival in Brazil 2011. Being a versatile and dynamic dancer has enabled Dorothy to excel in the world of commercial dance. She has performed and choreographed for major launches and events for Coca-Cola Amatil, Channel 7, Cricket Australia and many more. She currently teaches at some of Sydney’s leading dance studios, whilst she pursues her goals as a dancer, model and fine artist. Daryl Willem Morante commonly known as 'D.Mo' is a versatile dancer, actor and model. Daryl has been dancing with Sirens Dance since 2013 and loves performing the intricate, stylistic fusion of Ramona’s choreography. With his big smile and big energy on stage, he is a crowd favourite. Daryl has danced professionally in Hip Hop, Filipino Folk, Dancehall, Afro, Bollywood, Contemporary and K-Pop. He is also an in-demand choreographer with more than 10 years of experience in workshops, dance academies, competitions, music videos and tours. Some notable feats are his involvement as a Bollywood assistant choreographer for SYTYCD Australia 2014, taking 1st place in the K-Pop World Festival 2015 and dancing for Jason DeRulo in his debut World Tour in 2012. But one of his major Bollywood achievements is becoming a featured performer in the world’s first Bollywood theme park – Bollywood Parks Dubai.